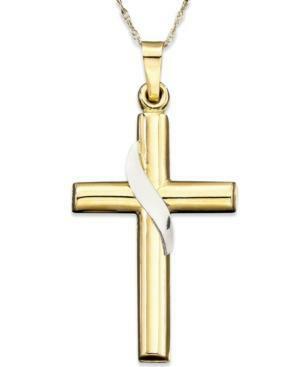 A simple cross with a reverent sash, crafted in two-tone 14k gold. Pendant is approximately 1-1/4 inches long. Chain not included.